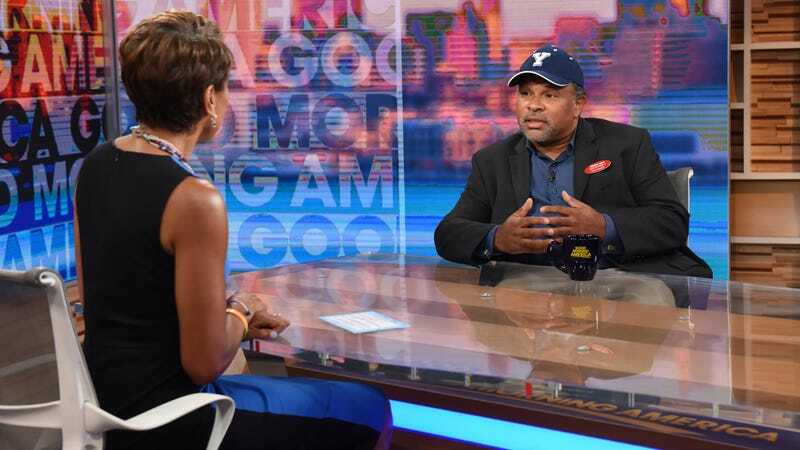 You really have to hand it to Geoffrey Owens. The Cosby Show star made headlines over the weekend when a picture of him bagging groceries at a New Jersey Trader Joe’s quickly went viral, showing up on The Daily Mail and Fox News. Many of Owens’ fellow actors then took to social media in solidarity, explaining that many of them also took other jobs to help supplement the frequently inconsistent income that can go along with creative pursuits. But the indefatigable Owens has found the supportive outpouring he’s received to be overwhelming positive, telling CNN: “What has been sustained, now over days, is how much love and support there is. Not just for me, but for working people. The idea that, ‘Hey, what’s wrong with working at Trader Joe’s, or any job like that?’” Absolutely nothing. While Owens is best-known for his role as Elvin on The Cosby Show for several seasons, he also has performed on stage (he’s the founder and artistic director of The Brooklyn Shakespeare Company, according to his website, and runs a weekly Shakespeare workshop) and appeared as a guest star on a variety of shows from to It’s Always Sunny In Philadelphia to The Affair. While The A.V. Club reports that Tyler Perry has offered Owens a job in the wake of this ordeal, Owens told CNN, “Even with all this notoriety right now, I think I’d actually feel a little uncomfortable if someone said because of what’s happening to you in the media right now, we are going to give you a job.” Still, “If because of this I get more auditions, I get a chance to get in the room and compete with my peers for jobs, that I wouldn’t mind at all.” A well-deserved chance, at any rate.